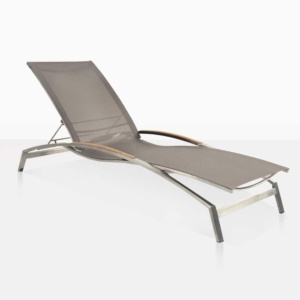 Svelte, cool an contemporary, this lightweight sun lounger delivers heavyweight relaxation. 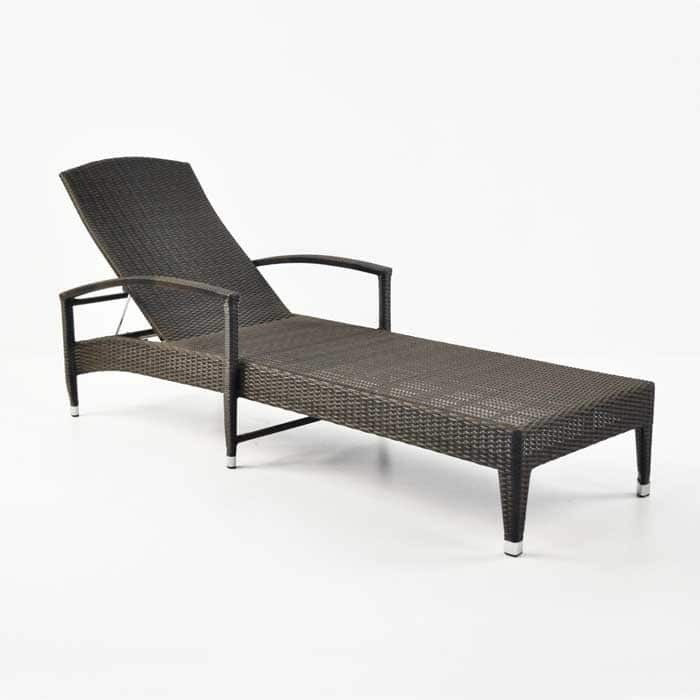 Made from top quality synthetic outdoor wicker in a dark brown multi-colored pattern called java, this sun lounger offers cushioned comfort and low overall maintenance requirements. The slim look is complimented by six legs and curved, stylish arms. The adjustable back make it super comfortable, regardless of what mood you’re in. 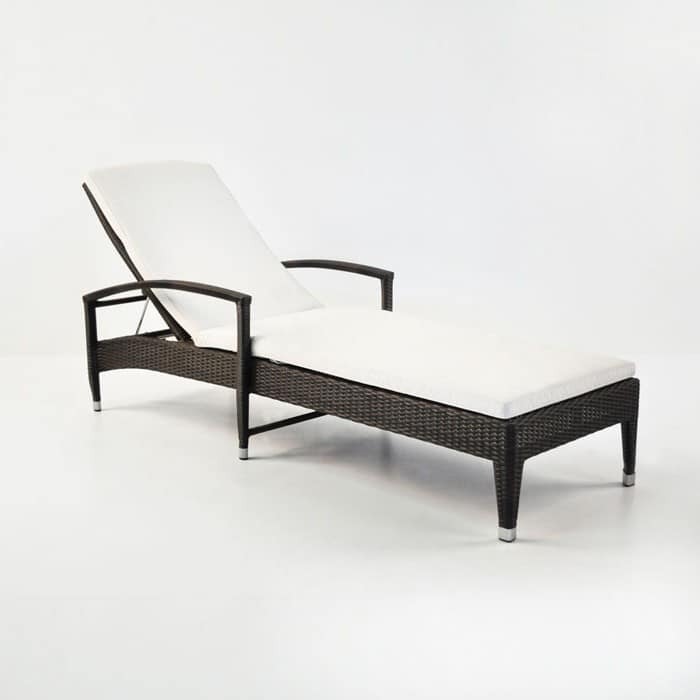 A comfortable cushion is included and this lightweight sun lounger is an excellent addition to any space with its versatile color and durable synthetic wicker fiber woven over a sturdy, comfortable powder-coated aluminum frame. 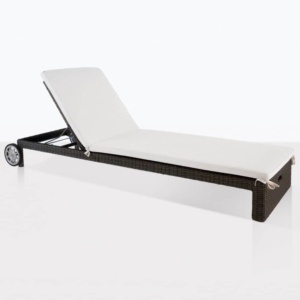 This outdoor wicker sun lounger is all-weather and very inviting. 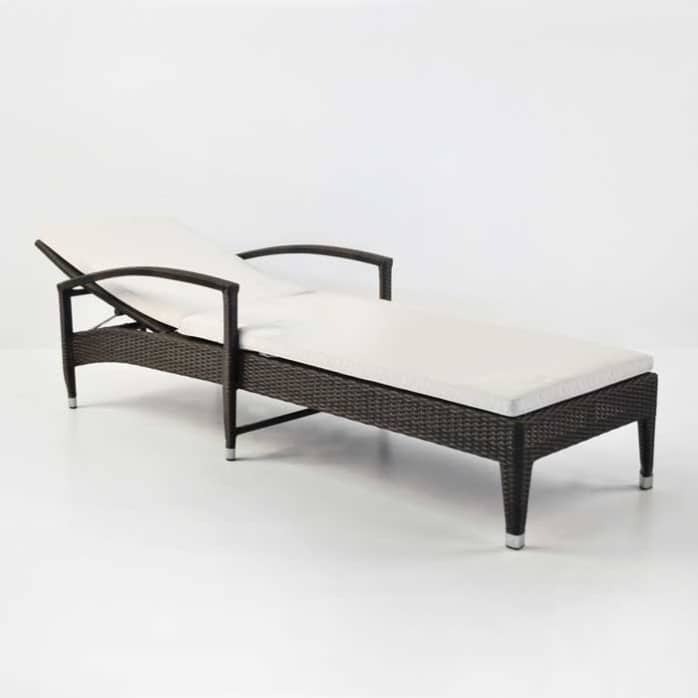 Lounge poolside in style on this all-weather wicker lounger, including a free Sunbrella® weather resistant cushion. 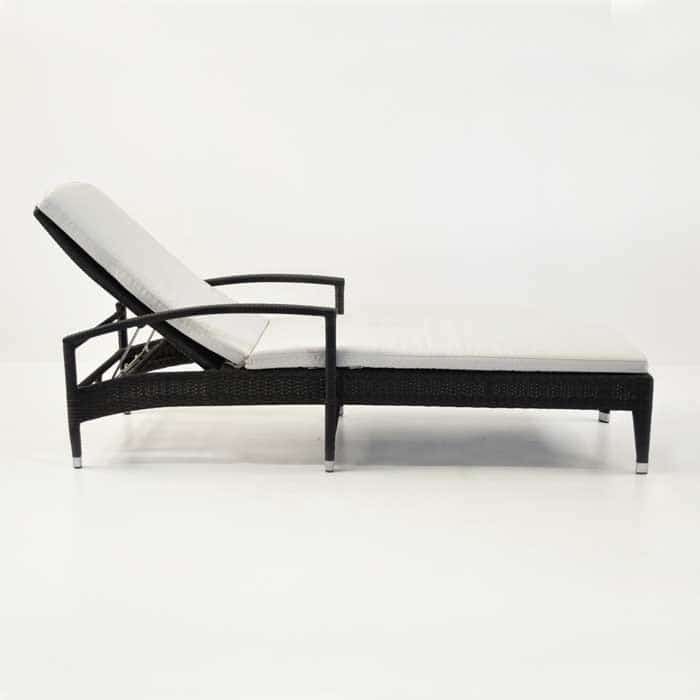 We use only the highest quality synthetic outdoor wicker. Available in Antique Java.